Christine Wolheim is an artist who gets her inspiration from travel, flea markets, luxury boutiques, other makers, magazines, books, photos, trees, nature and water. She lives in San Francisco and has a log cabin in her hometown of Kings Beach, Lake Tahoe. 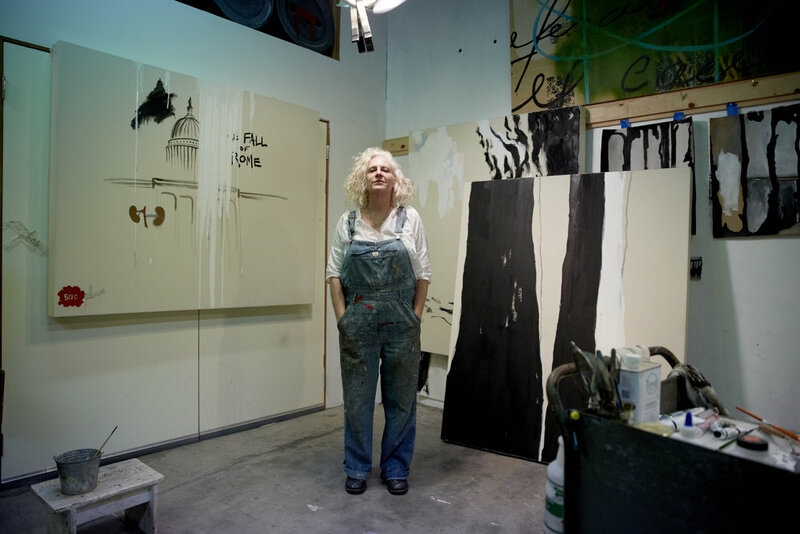 She currently is making large Abstract Expressionistic paintings, charcoal gesture drawings and dreamy ink on paper pieces. She works per assignment as a Food or Prop Stylist, still cooks for friends, drinks wine, makes runners and custom fragrances, and has a habit of re-doing orphan chairs. She loves to ride her Vintage Vespa. Wolheim received her BFA in painting from the San Francisco Art Institute in 2001, where she was the recipient of numerous awards. Wolheim's figurative work mirrors her creative process; she adds, subtracts and layers both provocative and ordinary images to create new meaning and highlight ironic incongruities. 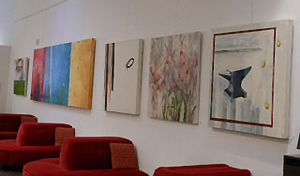 Her abstract work, likewise is crafted of layers and subtraction, resulting very textural, expressionistic compositions. Although primarily a painter, she uses a variety of media: photo, printmaking, collage and assemblage. Christine was the co-curator and founder of the Woolsey Street Downstairs Gallery and Cold Cuts Sessions. This wildly successful cross-disciplinary monthly salon ran from 2000 to 2004, and provided a venue for emerging and established artists, musicians, and creatives of all disciplines. To see her commercial work go to: www.wolheimstyle.com. Artists were paired with a survivor of sexual violence and invited to make a portrait of their subject as not merely a survivor but as one who thrives.